Pioneer Computers introduces the latest model of Ultrabook notebooks featuring a 14-inch touch screen. Powered by a 3rd generation Intel Core i3/ i5/ i7 mobile processor, the T14 notebook supports Wi-Fi B/G/N with optional Bluetooth. 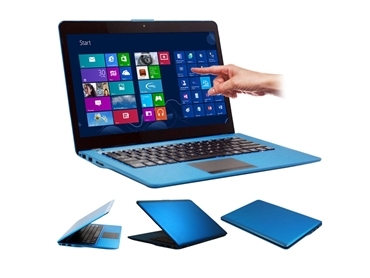 The versatile DreamBook T14 Touch Ultrabook’s touch screen has a 1366 x 768-pixel, 16:9 resolution. The ultra-light and ultra-thin DreamBook is easy to carry around, making them ideal for mobile and field applications. The DreamBook T14 Touch Ultrabook is available from Pioneer Computers on a build-to-order basis.